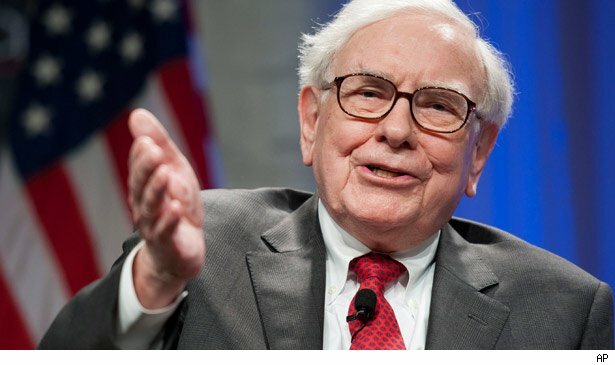 Berkshire Hathaway (BRK.A) (BRK.B) came out with its quarterly portfolio update on Tuesday afternoon, and apparently Warren Buffett was in a selling mood during this year's second quarter. The iconic investor's spring cleaning involved dumping Berkshire Hathaway's entire investment in Intel (INTC) and nearly two thirds of the holding company's stake in Johnson & Johnson (JNJ). A few consumer brand behemoths -- Procter & Gamble (PG), General Electric (GE), and Kraft Foods (KFT) -- also saw their positions in Berkshire Hathaway's widely followed portfolio pruned back. Buffett didn't just sit on his company's bountiful cash position, though. Berkshire Hathaway has taken a liking to the depressed energy market, and bought into National Oil Well Varco (NOV) and Phillips 66 (PSX). Berkshire also increased its ownership in banking bellwethers Wells Fargo (WFC) and Bank of New York (BK). Buffett may have splintered his fan base when he grew vocal about raising tax rates on the wealthy, but he has proven over the decades to be an astute investor whose moves bear watching. • The CEO search is over at New York Times (NYT). BBC Director-General Mark Thompson was introduced as the newspaper giant's next president and CEO on Tuesday night. He will also be added to the company's board when he begins his tenure in November. Running a newspaper company is obviously a daunting task these days as news consumption shifts from print to digital. • Bob Evans (BOBE) knows a thing or two about home cooking, and now the casual dining chain specializing in country-style comfort food is putting its money where its shareholders' mouths are. It's increasing its quarterly dividend 10% to $0.275 a share. Bob Evans also revealed on Tuesday afternoon that it's buying mashed potatoes maker Kettle Creations. The acquisition will give Bob Evans deeper retail penetration in grocery stores. • On the earnings front, JDS Uniphase (JDSU) posted better than expected quarterly results after Tuesday's market close. The optical networking firm earned $0.15 a share on $439 million in revenue, well above the $0.12 a share on $423 million in revenue that the market was forecasting. Motley Fool contributor Rick Munarriz does not own shares in any of the stocks in this article. The Motley Fool owns shares of Johnson & Johnson, Berkshire Hathaway, National-Oilwell Varco, Wells Fargo, and Intel. Motley Fool newsletter services have recommended buying shares of National-Oilwell Varco, Procter & Gamble, Wells Fargo, Johnson & Johnson, Berkshire Hathaway, and Intel. Motley Fool newsletter services have recommended creating a diagonal call position in Johnson & Johnson.